Start a new career in digital marketing with our practical, evidence based, City & Guilds accredited distance learning qualification in Social Media. 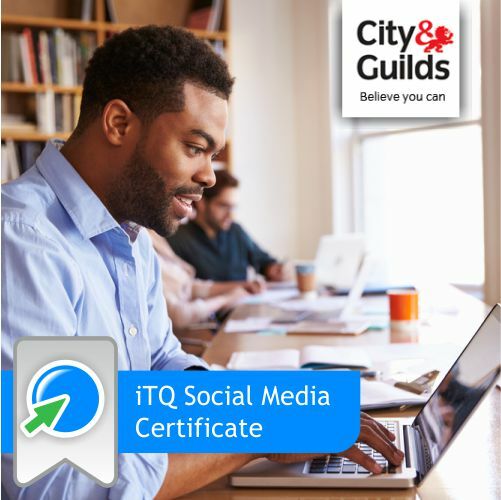 On successful completion of the course, you will be awarded the City & Guilds ITQ Level 3 qualification (equivalent to an ‘A’ Level standard of learning). You will also have a practical working knowledge of SEO (search engine optimisation), creating video for business, Pinterest, social bookmarking, blogging, Google Analytics and building a WordPress website. You will be able to create a strategy and social media policy for your use of social media and choose the correct channels to carry this out efficiently. You are assessed throughout the course and will complete 19 tasks including practical creation of profiles and status updates. You will also evidence your use of a range of digital marketing tools.